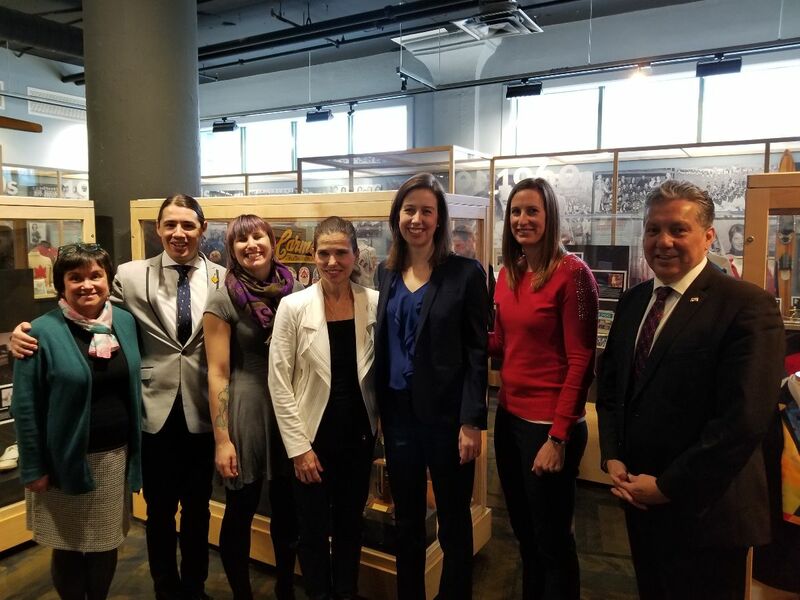 The Honourable Kirsty Duncan, Minister for Science and Sport, recently announced that CAAWS will receive a $3 million investment from Sport Canada to expand our thought leadership and resources, enabling action that will accelerate progress for women and girls in sport. Have questions? Read our press release! CAAWS is proud to announce our 2019 WISE Fund recipients! The Women in Sport Encouragement (WISE) Fund invests in the development of women leaders in sport and supports sport organizations to strengthen their engagement of girls and women. 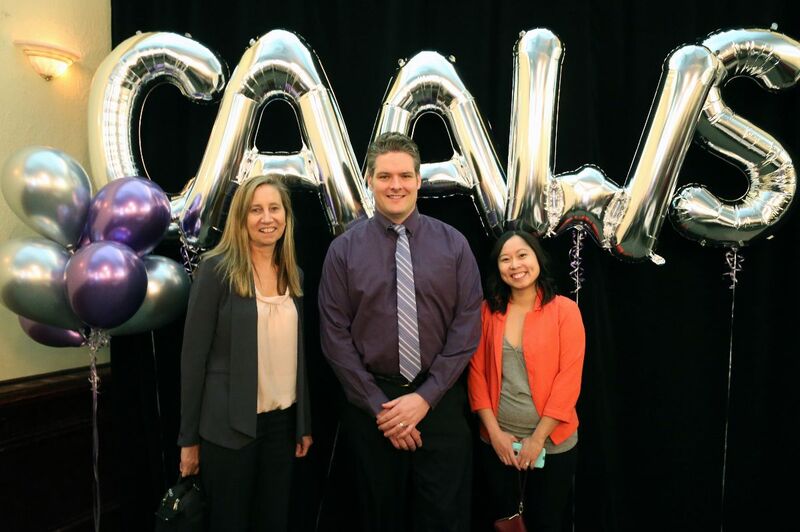 CAAWS awards 10 grants annually, each valued at $1000, to help sports across the country reach their goals for inclusion. Thank you to everyone who took the time to tell about their incredible initiatives, and congratulations to our 2019 grant recipients! Meet our 10 change-makers for this year. Thank you to everyone who attended our sold-out International Women’s Day event in Ottawa! We were so happy to see so many new and familiar faces show up to celebrate women and sport. You can access the recording of the event on our Facebook page! 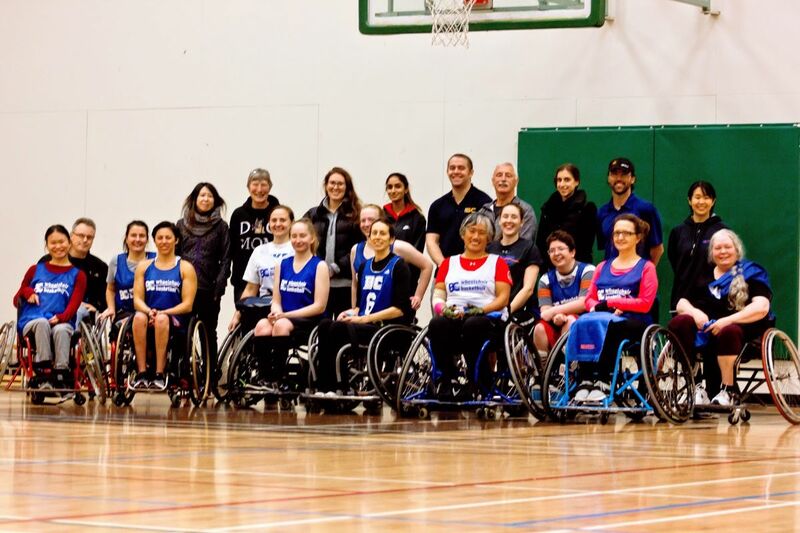 We’re only a few months into 2019 and we’ve already seen ground-breaking progress towards creating safer and more equally accessible sport opportunities for Canadian women and girls. Take a few minute to read about the gender equity commitments made by Federal/Provincial-Territorial governments, the development of a new national code of conduct and the safe sport summits being hosted across the country, and the new investigation unit and helpline for harassment, abuse, and discrimination in sport. Is your organization interested in recruiting more women to your board of directors, but unsure where to find the right research and strategies to help you? Check out our March webinar, presented by David Patterson, the president and CEO of the Canada Games Council. 93% of participants would recommend this webinar to a colleague! Join our April Webinar to learn how a positive coaching philosophy promotes retention of women and girls in sport. Jane King, Founder and President of King Sport Group, will be offering her guidance on coaching practices that are fundamental to engagement and participation of girls. Do you have big ideas on how improve sport participation experiences for Canadians? Sport Canada’s Innovation Initiative provides funding to deliver and test innovative program approaches to engage women and girls, LGBTQ2+ communities, persons with disabilities, and newcomers to Canada. The deadline to submit a concept is April 12, 2019. In case you missed it: On February 10th, our CEO Allison Sandmeyer-Graves was a guest on Hockey Night in Canada for International Women’s Day! In 2019, women are still fighting to be represented as leaders in Canadian coaching. Unfortunately, stereotypes and conventions within the larger athletics community exist that reinforce coaching traditions centering the experiences of men. Two women coaches at UBC - the only women on a varsity staff of 20 - recently spoke about their experiences defying underrepresentation in an article for the Ubessey Magazine. Poonam Sandhu and Deb Huband discussed why women who are athletes and sports enthusiasts might not yet consider coaching as a viable career option. 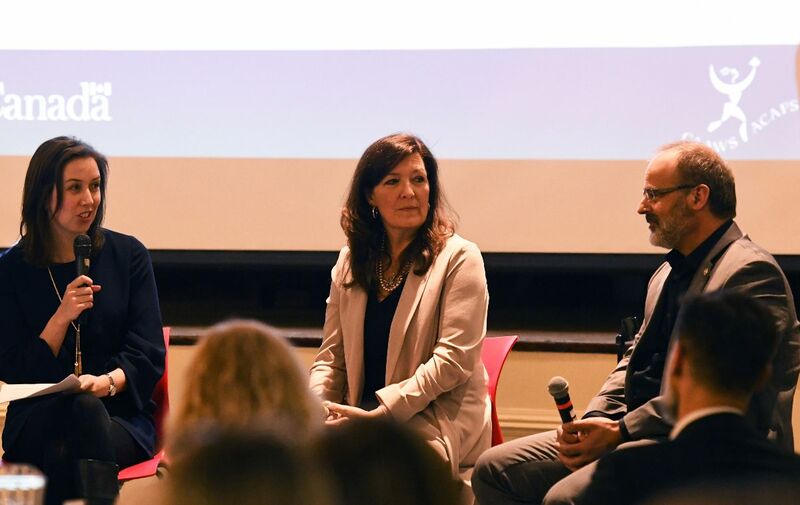 On International Women’s Day 2019, CAAWS hosted a panel discussion on the topic of women and sport leadership with Katherine Henderson, CEO of Curling Canada, and Johnny Misley, CEO of Ontario Soccer. Katherine and Johnny discussed how gender balance leads to better outcomes, the importance of creating a board environment that is inviting to women, and strategies to help sport organizations be more inclusive. Both Curling Canada and Ontario Soccer have gender equity bylaws in their board governance documents that mandate a minimum of 40% of each gender on their board of directors. Watch the panel here! The discussion starts 25 minutes into the video. On International Women’s Day, CAAWS released our second Women in Sport Leadership Snapshot based on a survey of Canadian National Sport Organizations (NSOs) and Multisport Service Organizations (MSOs). 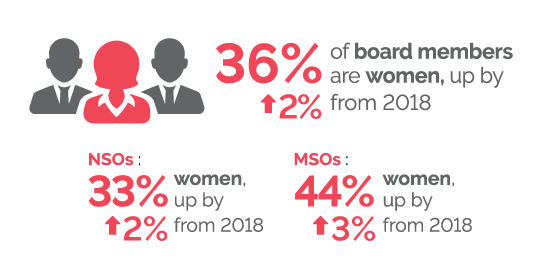 Many NSOs and MSOs are recognizing that inclusion and diversity are crucial to success; however, our recent research shows that women continue to be underrepresented at the board and senior administration level. Four in ten boards still do not meet the critical threshold of 30% women required to ensure that a diversity of perspectives is realized. Check out the 2019 Snapshot and read our blog on three ways sport organizations can champion change! Judy Smith— The Canadian Collegiate Athletic Association (CCAA) has re-named the Women’s Basketball Exemplary Leadership Award in honour of her. Dr. Penny Werthner, Dean of University of Calgary’s Faculty of Kinesiology, which was ranked among the top 30 in the world. Dr. Christiane Ayotte on her investiture as an Officer of the Order of Canada. This honour recognizes Dr. Ayotte’s outstanding contribution to the fight against doping in sport, in Canada and around the world. Kerrin Lee-Gartner, Olympic gold medallist turned CBC Sports analyst, who signed off after calling her final race for CBC. Lorraine Lafreniere (Coaching Association of Canada) and Marie-Claude Asselin (Sport Dispute Resolution Centre of Canada) who are leading the charge on ground-breaking initiatives to end abuse, harassment and discrimination in sport.